The Visual Arts League of Allen was created to promote our vital and vibrant artistic community. VALA will serve as a conduit for creative synergy between our talented Local Artists, Local Business and Patrons of the Arts in order to energize and support the arts in our area. VALA is comprised of a talented pool of Local Artists and Art enthusiasts working in all disciplines of the Visual Arts. We offer workshops, exhibitions, events and opportunities to Artists and the Community alike. We are Local Artists and Supporters of the Arts located in Allen, Texas. Become a VALA Member TODAY! Membership is open to anyone interested in the arts! For all the latest info on workshops, meeting and events, Subscribe to our email list. Want to learn more or become a member? Contact us anytime through this website or join us at any of our Open to the Public Monthly Meetings. Free and Open to All !! Its time once again for the Annual VALA Gala, hosted by the Visual Arts League of Allen! Get you tickets now and skip the line at the door! hosted by the Visual Arts League of Allen! Join in the fun at our Biggest event of the year! This event features Complimentary Food, cocktails, live Music by emerging artist 'Marcella' www.marcellaofficial.com, a Live Art Auction with Allen’s own Mayor as the Auctioneer! 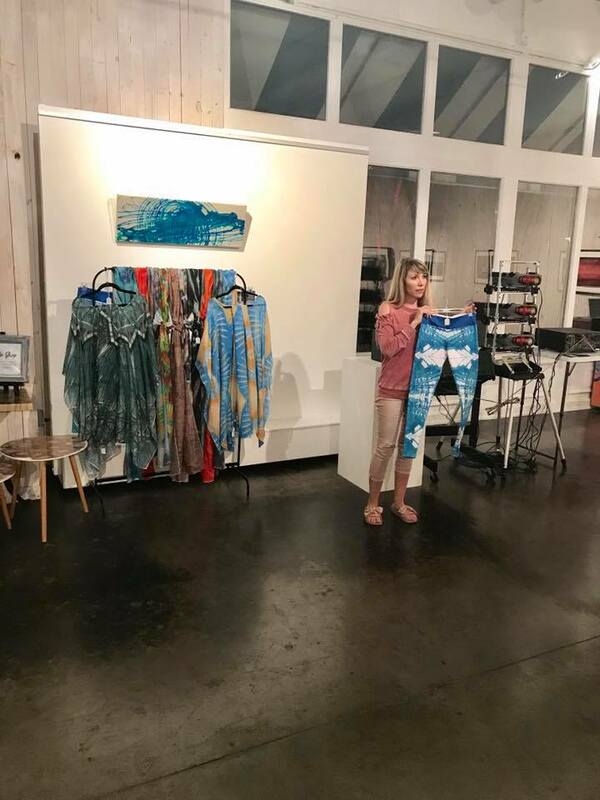 a Silent Auction of amazing gifts, raffle items AND on display first look at the VALA Collective Art exhibit "Metamorphosis"! Commencing at the Blue House Too Gallery in Watter's Creek in Allen TX. 20% of all proceeds will be awarded in scholarships for young adults pursuing careers in the Arts! 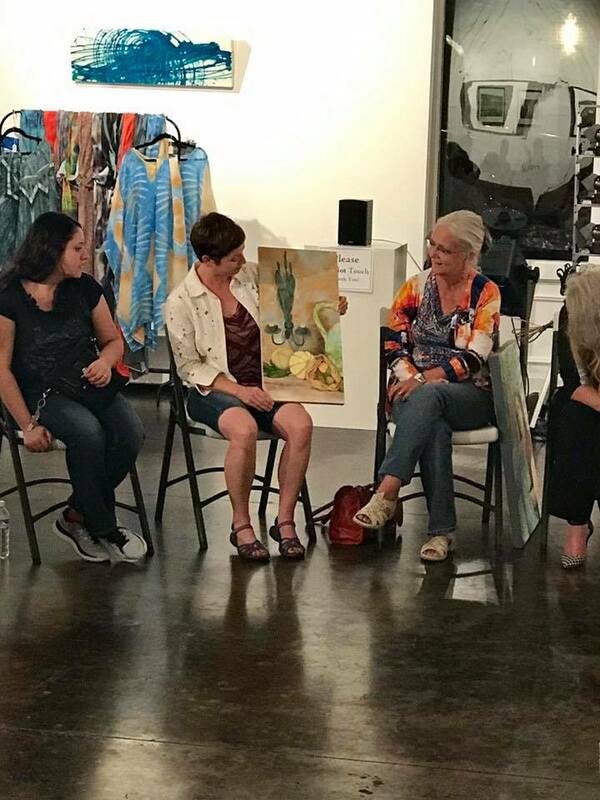 The Visual Arts League of Allen is a 501c3 non-profit organization whose mission is to serve as a conduit for creative synergy between our talented Local Artists, Local Business and Patrons of the Arts in order to energize and support the arts in our area, through workshops, exhibitions, events and opportunities to Artists and the Community alike. Don't miss this great event and a chance to snag an amazing piece of original artwork at a great price! Allen Arts Alliance, Market Street, TUPPS Brewery, Nine Band Brewery, Amazeballz, Landon’s Winery, Painting With a Twist Mckinney, Asel Art Supply, Dunbar Studios, The Art Experience, Essential Rockstar, Balanced Media Technology, Moulden Arts, Creative Davakos, Nine Band Brewery, Revival Massage, The Boardroom for Men, Kendra Scott, Tre’ Figlie Studios, CSAtkins Art, Ryan Cave Realty, Sweet Alchemy, Texas Fit Chicks, Kim Renee Salon, Buttermilk Sky Pies, Ashley Claese, Roxane Bailey, V & M Davis, David Hicks Company, Revival Spa, The Green Tuffet, Paper Source, Loreal, Nothing Bundt Cakes. Geetha Rao, Kimberly Milks, Ashley Clase, Kim Guthrie, Robert Atkins, John Myers, Pamela Van Laanen, Brenna McGee, Wendy McIntyre, Lori Ruml, Daniel Moulden, Lizzy Hicks, Christine Smith-Atkins, Kathy Lett, Rani Verma, David Christakos, Laura Clase, Alexandria Clase, Jen Hernandez & Eric Hanson. Get you tickets now for this amazing event now and skip the line! THANK YOU! to our Wonderful Sponsors of the VALAWEEN Event!! VALA is a member of the Allen Arts Alliance. Allen Arts Alliance is a non-profit organization, dedicated to bringing arts and culture to the Allen community. Proceeds and Donations are distributed back to our ArtsReach program and to other non-profit arts organizations under our umbrella. Thank You for Supporting the Arts!